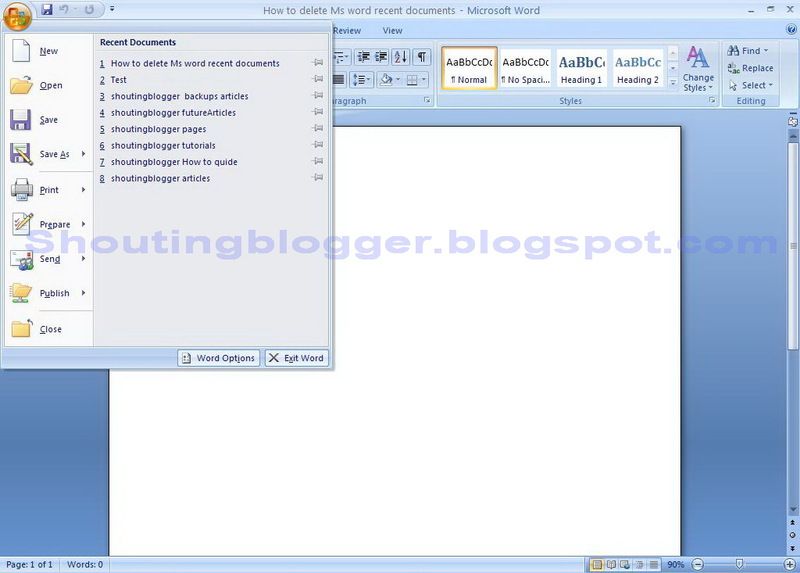 How to Delete History in Microsoft word 2007 . 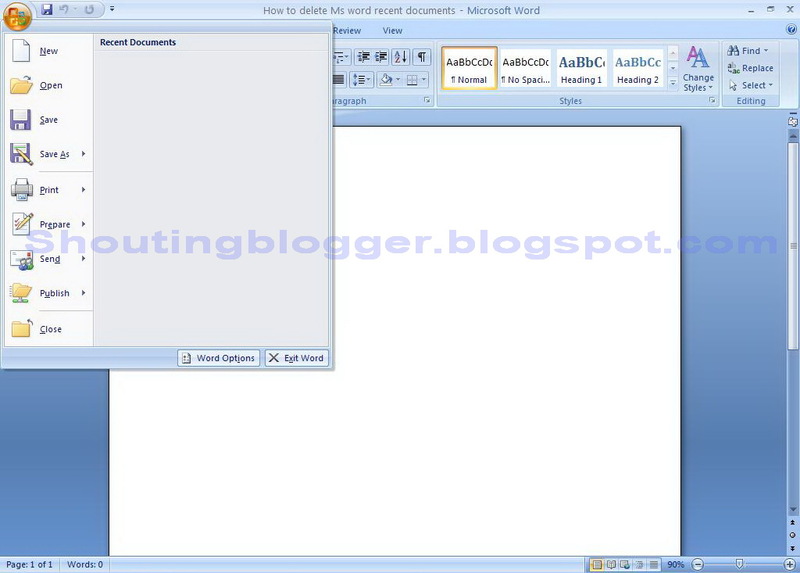 Microsoft word 2007 keep a record of recent opened , created and modified document in form of Recent Document list as a History , this Recent documents allow Microsoft word 2007 user to quick access Recently Opened / Popular Documents to save time . Sometime this Recent documents list in Microsoft word 2007 as a history proves to be headache when it comes to privacy . 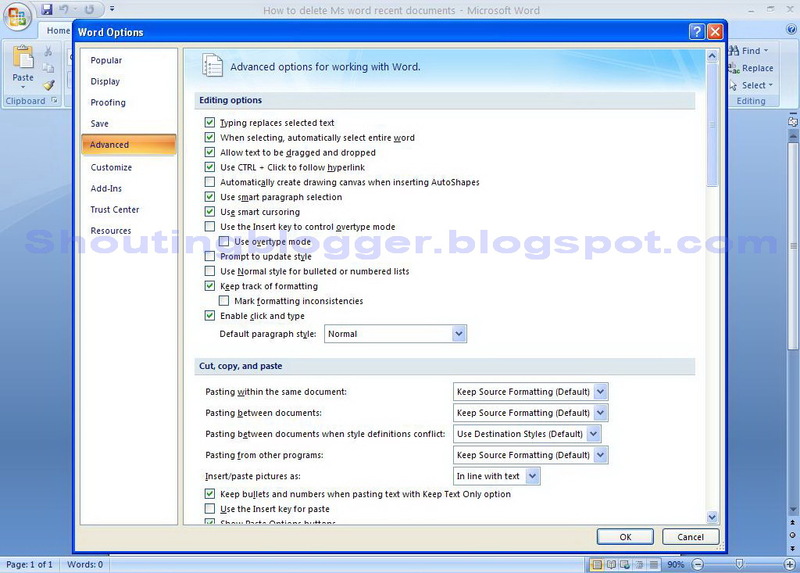 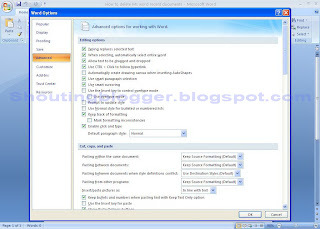 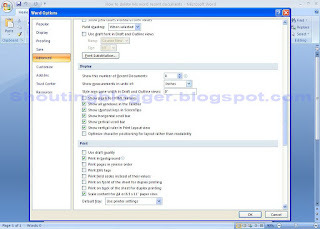 As Privacy is concerned these Document list are to be deleted while using any public computer because Sometime by manual error your documents gets saved in Microsoft word 2007 which could be accessed via Recent document list in word 2007 by unauthorized personal . So , You must clear Recent documents list in Microsoft word 2007 to protect your accidental saved works while working on Public computer and when Privacy is concerned . 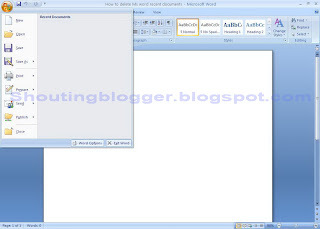 Step 2 : Click on Office button ( at extreme top right in Microsoft word 2007 Document window ) . 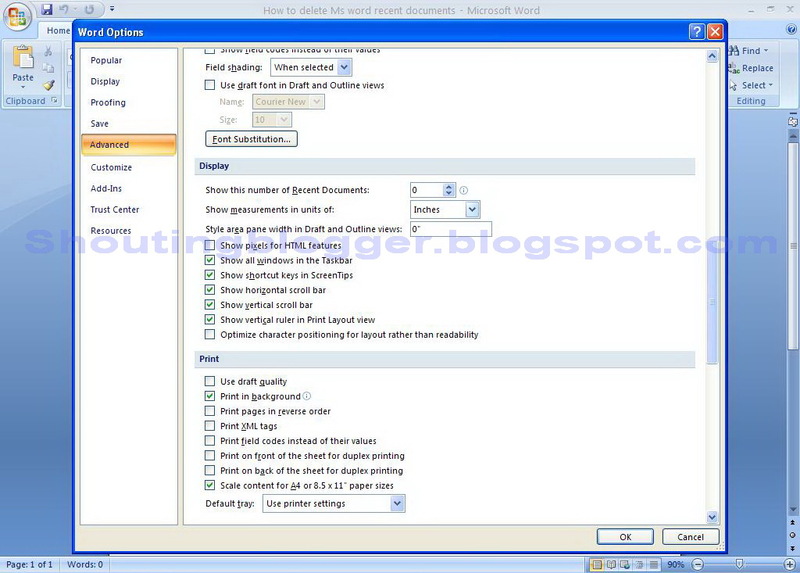 Step 5 :Under Advanced label in Word Option window , Scroll down Page to Display label , Under Display label , Set Show this Number of recent documents to " 0 " and click on ok .